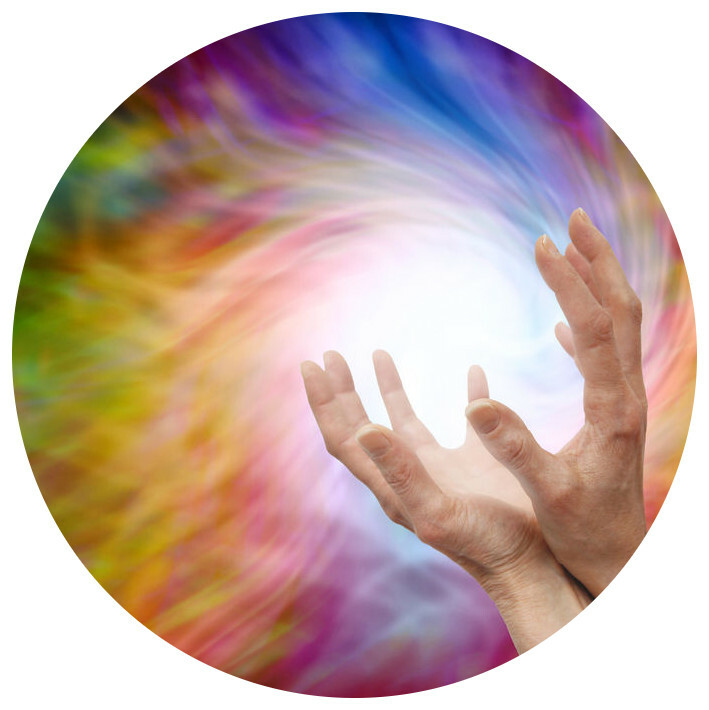 In recent years, a lot of information has come out about the history of Reiki. Previously, there was one history as understood here in the west. It stated clearly that Usui discovered Reiki, and then passed its leadership to Hayashi, who passed it to Takata, who passed it to Furumoto, each in turn becoming the head of Reiki in the world (Grandmaster). This is the history that was passed down without question. That history is presented here under the heading of "The Myth". The recently discovered history (which changes the myth) is below under the heading of "The History". An extension of that new history is a letter by the fourth Reiki master promoted by Furumoto. It brings an interesting view of the current "Grandmaster" of Reiki. This is under the heading of "The Grandmaster". Although Reiki was initially developed many centuries ago, it was lost, until recently re-discovered in the late 1800’s by Mikao Usui in Japan. Usui was a physician / surgeon practicing in Tokyo. He was a practitioner of oriental medicine and had studied some allopathic medicine with a visiting Christian missionary. He believed in Buddhist philosophy, and was impressed with Buddha’s quest for enlightenment, even though the Buddha did not lack any material need or pleasure having been born with extreme wealth. Usui was fascinated by both the Buddha's desire to help others and the unusual metaphysical abilities he received after achieving enlightenment. It was said that Buddha was able to heal physical illness and that many of the Buddha's disciples acquired healing abilities by following his teachings. Usui saw there were many who were unable to lead happy lives because they were sick, or had physical disabilities. He wondered if it would be possible to acquire the ability to heal physical illnesses in the same way the Buddha had done. After thinking about this for a while, he concluded that if this kind of healing was possible in the past, then it must still be possible. He set out on a quest determined to learn the secret of healing so that he might help others. Usui traveled throughout Japan, studying at Buddhist temples and asking questions about healing. During his travels he became friends with the abbot of a Zen monastery and was invited to stay and study. The abbot also had an interest in physical healing and encouraged Usui in his quest. Wanting to read the sacred books in their original language, Usui learned Chinese and eventually Sanskrit. It was in the Indian sutras written in Sanskrit, that he discovered a formula for contacting a higher power that could bestow healing. Usui had now found the information he had been looking for, yet it was only a formula. Knowing the formula did not give him the ability or understanding to heal. He talked to the abbot about this. It was decided that all he could now do was to follow the practices in the formula. He traveled to the holy mountain of Koriyama where he fasted, meditated, and followed the directions in the formula for twenty-one days. On the mountain, he set out twenty-one stones in front of him and each day he threw away a stone. On the twenty first day, after tossing away the last stone and still not having received the healing power, he stood up. It was the darkest part of the night, just before dawn. As he looked out toward the horizon wondering what to do next, he saw a point of light coming toward him. As he looked at the light he realized that the light had consciousness and that it was communicating with him. He realized the light had the healing power he was looking for and if he was to receive what the light had to offer, he must allow the light to strike him. However, he was told that the light was so powerful that if it did strike him, it might kill him. He was given the opportunity to decide. Would he risk death to obtain the healing ability for which he had searched so long? He decided the ability to heal the sick would be of such great value that it would be worth risking death to receive it. The beam struck him in the forehead, knocking him unconscious. Rising out of his physical body, he was shown beautiful bubbles of light filled with colors. In the bubbles were symbols. As he contemplated each symbol, he received an attunement for that symbol and knowledge on its use. In this way, he was initiated into the use of the Reiki healing power. Usui practiced and taught Reiki for the remainder of his life. Before his death in 1926, he gave the Master attunement to sixteen teachers, one of which was Dr. Chujiro Hayashi. Hayashi was a retired naval officer who received the Reiki Master initiation from Dr. Usui in 1925 at the age of 47. Before Usui died, he asked Hayashi to accept the responsibility of preserving Reiki so that it would not be lost as it had been in the past. It was through Hayashi that the knowledge of Reiki was passed down to be what it is today. He in turn passed the mantle of the head of Reiki (Grandmaster) on to Hawayo Takata, who at her death passed the mantle to her granddaughter, Phyllis Furumoto, who holds that title today. The history as can be proven says that Usui went up a mountain to meditate. When he returned, he had the means to do Reiki. He took this means and created a method. Using this method, he created a practice. The more Usui used this method, the more he learned about it. Over the years, he refined this method and made it better. In Usui's practice, he charged fees. If his client could not afford the fees, he lowered them to make them affordable. Usui created an organization called Usui Reiki Ryoho Gakkai (Gakkai, or foundation) or “The Usui System of Reiki Healing”. Usui was the first president of this entity. That title passed to Ushida after Usui died. The current holder of this title is Kondo. This foundation or entity (or whatever you want to call it) is the actual center of all Reiki in Japan (and should be recognized as the center for Reiki in the world). One thing of interest is that there is no title of ‘lineage bearer’ or Grandmaster in the organization. There is a succession of presidents each of whom is a Reiki master, but no lineage bearer. That is not to say that there is no lineage. A lineage is a list of teachers back to Usui. (For the majority of people in this country, this would most likely lead back through Takata.) There is still a lineage, just no one that holds a title with the responsibility of passing it on. During this time of learning and practicing, Usui promoted 16 people to the rank of master. Of these 16 masters, Hayashi was one, but he wasn’t the only one. In truth, Usui did not tell Hayashi that he was now the head of Reiki in the world. As of this day, the Gakkai still exists, as does the practice and instruction of Reiki in Japan. Hayashi was a master who had been promoted by Usui. He had his own healing center in Japan. He was not a president of the organization created by Usui. He was not in charge of Reiki at any point. He was simply a student and gifted healer. Takata had gone to Japan to be healed by Hayashi. When she found out how powerful Reiki was, she studied it, and finally brought Hayashi to Hawaii to give her the master’s attunement. Not to say things hadn’t changed thus far, but after Takata effectively became the source of Reiki instruction in the United States, things changed dramatically. The first thing that happened was that there were huge fees for training, including a $10,000 fee for mastership. Takata also did not allow any written materials in her class, and students were not allowed to take notes. Everythin g had to be memorized, including the drawing of the attunement symbols. (And we know what happens when we rely on memory. Some things change because memory is not exact. ) In fact Takata made her students promise to teach exactly as she had, and charge the same fees. After Takata’s death, Iris Ishikura, one of Takata’s students, whom she had promoted to master, started charging more reasonable fees. After that, Reiki started to spread in this country. More was done to help the learning process. This included the writing of workbooks and training manuals. Students were allowed to take notes and bring tape recorders if they wished. This was the key that passed Reiki from the little known to the widely known. Apparently, Takata wanted us to believe that Hayashi was the only survivor of the group of masters promoted by Usui. That would have secured a claim that she, and now Furumoto would have been the head of Reiki in the world. But that simply is not the case. One other thing Takata taught was that you should take Reiki from only one teacher. Since then, this belief has changed. Take it from as many teachers as you want. You will find that each one teaches something different as each teacher adds something to the class, but other changes have been made, even to the methodology itself. A lot of this cold be due to differences in memorization of Takata’s information. The Reiki organization that Dr. Usui started is alive and well in Japan. There never was a Grandmaster or lineage bearer. Dr. Hayashi was never in charge of the Usui System, nor was Mrs. Takata nor is any westerner. High fees and money were never a part of how Dr. Usui practiced. The history represented here was obtained by William Rand who is the head of the International Center for Reiki Healing. Another part of the history is a letter written by Carell Ann Farmer to William Rand. It explains a lot about the current "Grandmaster" of Reiki. This letter was taken from Rand's site with the permission of Farmer as she wanted it to be distributed by anyone that would post it. This letter was written by Carell Ann Farmer who was the fourth master initiated by Phyllis Furumoto and was present at the first masters meeting in 1982 and at the meeting to form the Reiki Alliance in 1983. Carol has given permission for anyone to make copies of this letter to share with others. I am writing this letter to share my truth in response to the present events that surround the practice of Reiki, in particular, the design of Office of the Grand Master, the concept of a sole and rightful heir, lineage bearer, trademarking and licensing. I write to provide a more complete picture of the growth of the Usui System of Reiki. I write because I have the courage and understanding now to do so. I write to encourage other people to speak their truth. I write so that I can honour the life force as it lives within me. I was trained by Phyllis Furumoto in January, 1981 in the first two levels of Reiki. During my 1st level seminar, I received three gifts: the knowing that I was a teacher of this natural healing art (it was known then as Reiki - A Japanese Natural Healing Art), the knowing that it was an individual path and that my inner wisdom would always guide me, the knowing that when I touched healing happened. The actualization of this wisdom has strengthened over the ensuing years with the challenge presented to me. I was initiated as a Reiki Master on April 1, 1982. I was the fourth Reiki Master that Phyllis initiated. I paid Phyllis $10,000. Phyllis asked me to make two commitments: to honour Reiki as an oral tradition and for it to be my sole source of income. I committed. I also committed to bringing forth the master in me. I have upheld my commitment to the oral tradition. At the time of making that commitment I did not really understand what it meant to commit to an oral tradition. I was a single parent with two children and no other source of income. It was a huge leap of faith to trust that the universe would totally provide all that I needed to raise and provide for my family. My work as a teacher of natural healing and my life have been supported by this practice. I have been invited to travel extensively to give seminars and treatments. It has been a profound experience of support and love. It has taught me the essence of Reiki. I have upheld the commitment to it being my sole source of income. On April 1, 1996, I took my healing work into the corporate world, where I have gained experience and strength in standing strong in the face of politics and the bottom line of making a profit. I live the practice quietly and continue to deepen my understanding of what it is to follow my inner wisdom and to dedicate my life to mastery. Some of the memories that I want to share are parts of conversations that Phyllis had with me during my seminars in the first two leve ls of Reiki, my subsequent training as a Reiki Master and my friendship with her that extended over several years. I have held these conversations in confidence based on my personal ethics. The interactive relationship with Phyllis no longer exists and that is of my choosing. I have felt for many years that I cannot align with the control and power which she exerts in her role. Phyllis and I were strong catalysts for each other. We each have our own destiny to fulfill. As in all relationships, we have the right to agree and disagree. I want to state clearly that I have no interest in making Phyllis appear "wrong" for her choices. I wish only to speak from my heart and some of what I have to say is in disagreement with her choices. It was a difficult path for me because she was my teacher and friend. I was taught that one of the Reiki precepts was to honour one's teacher. I met Phyllis shortly after her grandmother, Hawayo Takata died. Over a period of several years (1981 - 1984) we were in close association. Phyllis confided in me. She talked to me in great detail of her confusion over her grandmother's death, her grandmother's lack of clarifying Phyllis's future role, her lack of direction in her own life and her fear of the opportunity that was before her to step forward into the position that her grandmother had filled. I remember the day that she arrived at my house and pronounced that she had made a decision. Her decision was clear. She said, "I will go for the money. " She had decided to pursue her grandmother's work - teaching classes, initiating Masters - for the income potential. She initiated four Masters between Feb.1981 and April 1982. She began to plan the first gathering of Reiki Masters in Hawaii (April 1982) and the memorial service for her grandmother. In many ways, she was already acting as though she was walking in her grandmother's shoes. Her statement of "I will go for the money" impacted me deeply. It felt wrong to me given my own experience of Reiki. 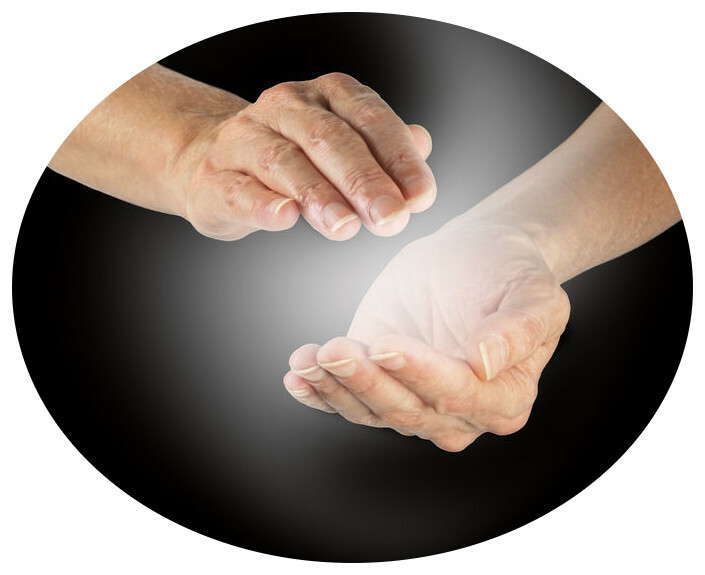 Even though I was a neophyte, I had felt the depth inherent in Reiki. I had felt the spiritual impact. Her decision was a materialistic decision. In my experience, there was no spiritual awareness associated with it and I felt the paradox of that. My confusion regarding "honouring my teacher" deepened. I sat in the circle at the first gathering of Reiki Masters in Hawaii in 1982. I had been an initiated Master for 10 days. I listened to the stories of how Takata had taught each master differently. We drew the symbols together. It was quite shocking to the group to find out that they were different, similar in some respects and different in others. What did this mean? Discussion around this led to an agreement that we would all use the same symbols. I no longer remember exactly how we determined the correct symbols. It marked the beginning of attempted standardization. Takata's unique method of teaching was a source of great upset. We did not understand the uniqueness and came to it with our Western notion of uniformity and standardization. It was not apparent from the discussion that anyone in the group understood the real relationship of the symbols as a catalyst for inner awakening and connection to the Energy. If this had been understood at the time, we would not have engaged in the process of needing to have everyone's symbols be exactly the same. Is this understood now? Do we understand that Takata's way of teaching allowed each master freedom to discover their own uniqueness? Do we understand that each Master is unique? I also heard the confusion. No successor had been named. Barbara Weber was representing herself as the next leader. This was a source of concern because she had taken actions and was making claims about some agreements with Takata. Also, she had been invited to participate in the gathering and had declined. Phyllis was questioned about what Takata had said to her before she died. Phyllis said that her grandmother had hoped that she would follow in her footsteps, but that she had not said anything definitive about it. Phyllis was questioned about any additional knowledge or symbols that Takata had given her. She did not have any. But she was the only person that had started to initiate masters in the group. She was in many ways leading the gathering. She said that she was open to being chosen as the person who would follow in Takata's footsteps and eventually that is what appeared to happen. It seemed that nobody wanted the responsibility of the role except Phyllis and nobody really understood what was to happen. I think that we did not have a glimmer of understanding of how Reiki could have moved forward without a "leader. " At that gathering, I received another profound gift. I had a powerful experience regarding the concept of grand master. I knew from deep within my being that I had the potential of being a grand master. I had just been initiated as a Master. I was the "baby" in the group. The possibility of envisioning myself embodying the concept of grand master or the notion of speaking that I had that profound inner knowing was ludicrous and terrifying. I chose not to speak of it. I wish that I had had the courage and trust of my heart to speak. It could have made a great difference to the future of Reiki. It is clear to me that if I had spoken, it would have initiated a discussion about the concept of "grand master. " The future of the Usui System of Reiki may have looked very different. Consider for a moment a discussion about the concept of "grand master" amongst those Reiki masters. "Grand master", not as a title or a position, but as a possibility that each and every one of us can aspire to. I believe that at some level everyone at that gathering had this energy experience of the potential of grand mastery. I know that as one of the participants, I felt that energy through my body and I felt the full force and potential of that awareness. I know that we all have the opportunity to direct our lives to grand mastery. We could be living in the question "What is grand mastery"? A powerful spiritual focus that is our birth right. To live in this question is quite different from acting as if we are "grand masters". If there is a designation or honouring with a title, I believe that it must be earned from living an exemplary life. It seems to me that everyone has forgotten the naivete of the participants at the meeting. It was the first time that a group of Reiki Masters had sat together in America. We were all essentially "babies" in our practice of Reiki. 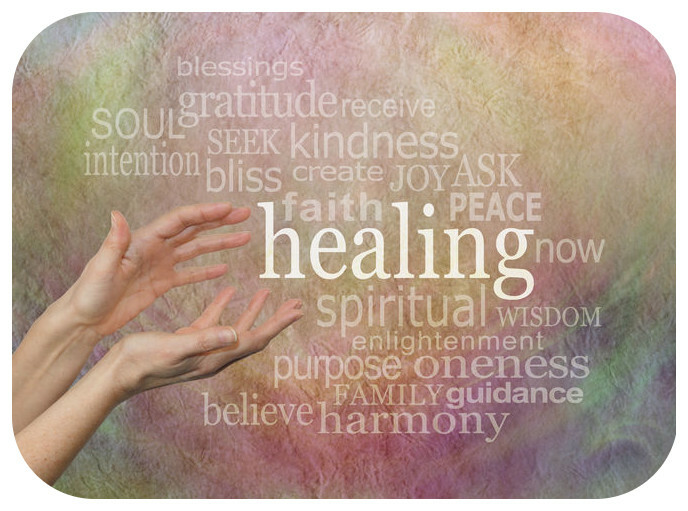 We were dealing with issues that required wisdom and maturity in the practice of Reiki. I don't feel that we even began to understand that at the time. The lack of understanding of succession, the confusion over Takata's method of teaching, the variations in the symbols, the threat that Barbara Weber would fill the gap provided by Takata's death were expressed fears within the group. Nobody there knew the decision that Phyllis had made "to go for the money," except me and I did not share that information. None of the people present took the fact that Takata had not designated a successor to mean that there was not to be a successor. It is possible that this is the truth. A further development happened at the next gathering of Reiki Masters, which was held at Barbara Brown's home in British Columbia in 1983. The Reiki Alliance was formed. I can no longer recall exact details. I remember that Phyllis was acting as the leader and most persons there moved with the energy of the situation. I remember spending days working on the purpose statement of the Reiki Alliance. It was the beginning of the further westernization of Reiki. As people born and raised in the West, we have a certain set of values and definitions. When these definitions and values are applied to a set of values and definitions from another culture, they change the original meaning. In the case of Reiki, I think that we have deviated greatly from the original teaching and intent. It requires intensive study and contemplation to understand a different culture. The only way we had of understanding was through our Western mind set. This Western way of thinking coupled with Phyllis's own motivation led to her being known as Grand Master and later, her proclamation of being a lineage bearer and now, that she is the sole and rightful heir of the Usui System of Reiki. I do not think that what transpired was in the energy of the system itself, rather an outcome of the Western way and Phyllis's ambition. At the next gathering of the Reiki Alliance, one of the Masters asked Phyllis to talk about what happened when Takata died and the process of how she came to claim to be a successor. She began to tell a story that was a fabrication. I called for truth. Phyllis retracted her statements, but the question remained unanswered. After that gathering, I left the Reiki Alliance. I felt that Phyllis had created a fabrication around the Usui System of Reiki that was a protection for her own purposes. I began to walk my own path with Reiki. I began the process of following my inner wisdom. For the past seventeen years, I have been deepening my understanding and integrating those first three gifts from my first level seminar and the fourth gift from my sitting in the circle in Hawaii in 1982. Those spiritual experiences have been my guides in this journey. It is a blessing in my life that they have led to greater and greater simplicity and love. I do not align with the complex notions that are currently expressed by Phyllis about this practice. I do not align with any of the notions of a role of grandmaster, office of grandmaster, lineage bearer, sole and rightful heir of the Usui System of Reiki or licensing fees for Masters because they do not come from the system itself. What is all this for? Who benefits from all this "stuff?" It looks to me like Phyllis does. The notions of form, discipline and practice are inherent in the way that this healing art is presented by the Reiki Master. At least at one time this was true. In the oral tradition, the emphasis was on self discovery and embodied in the concept "allow the Energy to lead you". There is no need to have lengthy treatises about it. Trust the Reiki Master to live it and model it. It is simple. It exists. We are all lineage bearers, rightful heirs and potentially grandmasters. It is not the exclusive right of one person. We have a great opportunity to free ourselves from confusion and return to the true simplicity of this gentle practice. I believe that we have the maturity and understanding at this time to speak, to be heard and bring forth the dignity and integrity of this teaching. We are all responsible for what has happened and we are all responsible for the future. 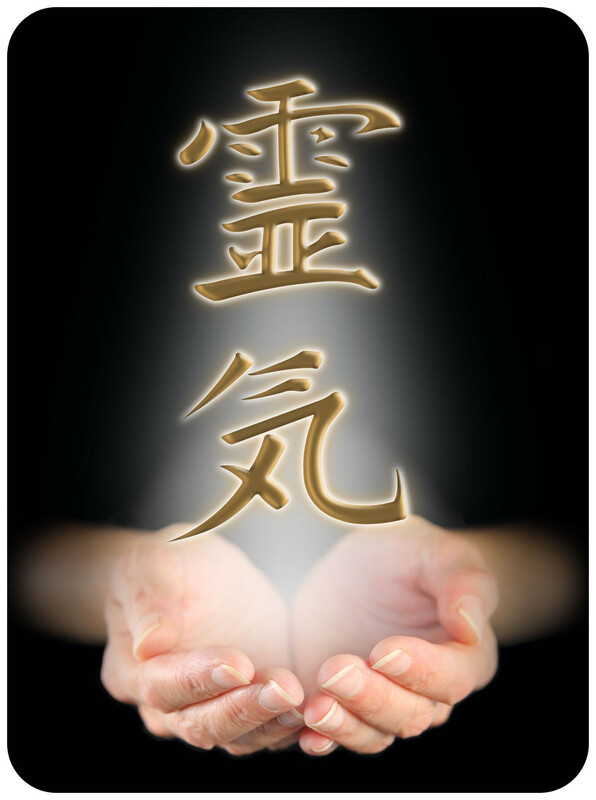 To be a Reiki Master is to hold a sacred trust. This purity of heart is the essence of what we have to share. I pray that together we can bring that purity forth to clarify the past, live what we teach and teach what we live.